For many low-income young South Koreans, it was an an entirely new way of making a living. The cryptocurrency market made a ton of people rich during its early years, with the value of Bitcoin reaching incredible heights. But what goes up must come down: 2018 was a harsh wake-up call for those invested. Many Koreans who invested in cryptocurrencies lost many thousands of dollars in the crash, the New York Times reports — but still hope for a rebound. “Who’s the next Satoshi?” the moderator asks rhetorically at the top of the show, a nod to the nebulous forefather of blockchain tech. 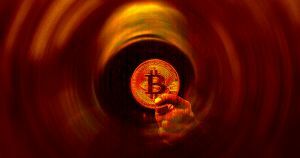 The show aired its first episode back in October 2018 — a terrible period, ironically, for crypto prices. While many Koreans are still counting their losses, the dreams of becoming rich through cryptocurrencies is still very much alive. But the harsh reality — including numerous hacks and scandals involving South Korean crypto exchanges — should really be a sobering wake up call.